The corrosive influence of the existing frozen or protracted conflicts in the European Union’s (EU) Eastern Neighborhood has been made acutely obvious by the Crimean crisis, as they remain one of the most dangerous sources of insecurity at the EU’s Eastern Borderline. Frozen conflicts have a rapid escalation potential and an overarching insecurity impact, be it in the case of structural security, affecting the statehood, sovereignty and democratic process in the region, or in terms of asymmetric security threats such as the traffic of human beings, armaments, black economies, and the justification of a Russian “stabilizing” presence. The Russian monopoly on “peacekeeping” contingents that supposedly broker the ceasefire in the case of the frozen conflicts in the area (Transnistria, Nagorno-Karabakh, Abkhazia, and South Ossetia as post-Soviet frozen conflict zones) is an important part of the broader security problematique that the West is currently facing in the Eastern Neighborhood. Being one of the root source of most of the insecurities and vulnerabilities in the region, a substantive Western response to the threats and instabilities of frozen conflicts is useless without addressing the “big elephant in the room”, i.e. Russia’s overt geopolitical revisionist strategy in the region. An increased EU or Western involvement under the aegis of more “hard” security imperatives is a matter of too-little-to-late, considering the escalating events in Ukraine and in the Crimean Peninsula. Nevertheless, the Common Security and Defense Policy (CSDP) could still be a potential foreign policy mechanism able to address the civilian dimensions of the conflict management cycle in the case of the frozen conflicts, from the prevention of further escalation, brokering, to post-stabilization. The states in the Eastern Neighborhood display an array of structural weaknesses, stemming from a cluster of potential military, political and societal threats. Frozen conflicts, weak economies, weak democratic institutions, corruption, unresolved sovereignty issues, and national-identity matters, all contributed to the emergence of structural threats in the region with the potential to spill-over in neighboring countries and within the EU. The most pressing security challenges encompass weak developing democracies, cross-border frozen conflicts and secessionist regions. The frozen conflicts in the Eastern Neighborhood are one of the main reasons for the glacis character of this borderline region and the lack of a more stark EU involvement in “hard” security matters. Moldova’s structural vulnerabilities, contested statehood, and its fragile developmental trajectory towards democracy and stability are one such example. By far one of the poorest country in the region, Moldova has taken-up a tentative Western foreign policy orientation and slow-paced reforms after 1990, especially with the help of the EU and the European Neighborhood Policy (ENP) Action Plan. Ignored and written-off by the West at the end of the Cold War, Moldova has now become an important front in the tensioned relations between the EU and Russia in the aftermath of the Crimean crisis. Having learned the lesson of procrastinating with Ukraine, the move from the EU to grant Moldova visa-free travel[i] is a much needed impetus in the fight for Moldova’s future. The country has around 3.5 million inhabitants, out of which a reported 400,000 already enjoy visa-free travel due to their having already obtained a Romanian passport[ii]. Romania has been very generous and proactive in granting Romanian nationality to Romanian-speaking Moldavians, in the bid to secure Moldova in its sphere of influence and to bring it closer to the EU. Moldova faces stringent challenges from the Russian “predatory” foreign policy in the Transnistria frozen conflict, where Russia plays a disruptive “re-colonizing” role by supporting the breakaway enclave militarily and politically. Actually, Romania has always encouraged a more proactive EU involvement in the conflict, due to the EU’s status of a “honest broker” that can employ a number of soft and hard policy options, without apparently ostracizing Russia. The Transnistrian frozen conflict is an insecurity legacy Moldova has inherited after the end of the Soviet Union and dating back to 1992[iii], when the new fragile state was faced with the daunting task to maintain control over Transnistria (Trans-Dniestr or Transdniestria). Transnistria is a breakaway state with its capital in Tiraspol and it is governed as the Pridnestrovian Moldavian Republic (PMR or Pridnestrovie), which declared its independence in the 1990s after the War of Transnistria in 1992. It is situated on a strip of territory between the River Dniester in the West and the Eastern border with Ukraine. The region is multiethnic, with the majority of the population being non-Romanian speakers and opposed to making Romanian the sole official language. It also has considerable Russian military contingents, due to formerly hosting the Soviet 14th Guards Army during the Soviet times. The presence of the Russian Army in Transnistria, though more limited since the 1990s, puts the region under the direct control and influence of Russia. The Transnistrian frozen conflict has had limiting effects on Moldova’s sovereignty and offers Russia great power leverage to turn around the Western orientation of the country. The EU Border Assistance Mission to Moldova and Ukraine (EUBAM)[iv] established at the joint request of both Moldova and Ukraine heads-of-state in 2005 is an interesting study-case for the EU’s CSDP involvement in the resolution of the Transnistrian frozen conflict. The mission was meant to contribute to the border control assistance and the reform customs services with personnel of over 200 members. By addressing the challenges of contraband trade, illegal trafficking, and organized crime, the mission aimed to help Moldavian and Ukrainian authorities to prevent the negative externalities the Transnistrian conflict causes. As well, the deployment of a monitoring type mission in Transnistria[v], as was in the case of the EU Monitoring Mission in Georgia following the 2008 war, could help prevent Russian inflammatory provocations and counter Moscow’s efforts to further fuel the local conflict. The Transnistrian frozen conflict has always been considered as the one most likely to reach a resolution[vi], with less inflamed ethnic conflicts and the main political stakeholders more likely to accept the compromise of an integrated, yet autonomous, Transnistria in Moldova. Analysts have nevertheless warned that a rapid, top-down, EU and politically brokered settlement of the conflict is not desirable[vii], the region requiring a more substantive, from-the-ground-up, and long-term confidence and capacity building strategy. Nevertheless, it is unrealistic to think that the Moldavian governmental structures are ready to manage an integrated Transnistria while at the same time facing stringent democratic reforms and economic challenges. Conversely, the EU’s efforts in conflict settlement with the EUBAM in Transnistria have been dwarfed in comparison to Russia’s commitment to support and maintain the separatist region. As in the case of Ukraine, Moldova is no exception to Russia’s overbearing influence. In a bid to consolidate its EU rapprochement and move out of Russia’s sphere of influence, Moldova initialized its Association Agreement (AA) at the Vilnius summit of the Eastern Partnership in November 2013[viii], including a Deep and Comprehensive Free Trade Area (DCFTA) agreement[ix] to be both signed at the end of August 2014. The paradoxical situation presented to many Transnistrian companies mostly owned by Russians is that they would increasingly benefit from the DCFTA, but the regions’ political authority and budget is heavily dependent upon Russian support and the free delivery of gas[x]. The EU’s or any Western involvement in Moldova is seen by Moscow as a breach upon its sphere of influence in the post-Soviet space. The blatant instrumentalization of the frozen conflicts in the Black Sea Peninsula is another side of the Kremlin’s strategy to foster growing separatist and Russophile sentiments in the region. One of the main reasons for the re-emergence of new Cold War rhetoric and Realpolitik discourse in Romania’s foreign and security policy is precisely due to the country’s proximity to frozen conflicts at its Eastern borderline and their erruption as it was the case with the Georgian war in 2008. From this point of view, Moldova’s security conundrum with the Transnistrian frozen conflict has always been a Romanian foreign policy priority, with the protracted conflict at a couple hundred kilometers away from the Romanian borderline. In the post-Cold-War context, the Romanian political leadership has always encouraged and assisted the Republic of Moldova on its way toward the EU and Euroatlantic integration and spared no declaratory efforts to contribute to the resolution of the Transnistria conflict. As Romanian President Traian Basescu repeatedly pointed out, a hands-on NATO-EU-OSCE engagement is crucial to spurring the resolution in this conflict. Under President Basescu’s administrations, Romania pursued broader integration within the European Union institutional framework, with special attention being given to Romania’s and the EU’s foreign and security policy in the immediate Eastern neighborhood. The topics of the Transnistrian frozen conflict and the political developments in Moldova have become a discursive trope in President Basescu’s foreign and security policy articulations. The theme has been also a building block in the construction of the President’s symbolic capital, as supposedly a forceful contender and policy formulator within the broader European Union framework. Romania has been raising awareness about the potential risks at the EU’s eastern borders and has been critical regarding the EU’s forbearance and general non-committal stance in the Eastern neighborhood, partly because of the Russian presence. 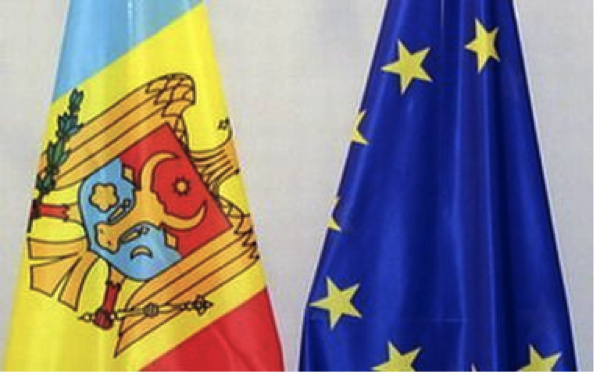 The President’s declarations concerning Moldova wish to position him as the main facilitator of Moldova’s EU integration and are meant to fuel popular nationalistic dreams of a Romanian-Moldovan reunion, going as far as statements such as “May God help us with Moldova’s integration in the European Union”[xi]. A strategy to solve the Transnistrian frozen conflicts should be the main focus of a new joint approach between the EU, the US, OSCE, and NATO, addressing the conflict management cycle, from monitoring and prevention, conflict resolution, to post-conflict reconstruction. The civilian culture and the diverse crisis management tools offered by the CSDP could be seen as added short-term solutions and provide input in addressing the complex security picture of the frozen conflicts as regards both hard and soft security matters. Such efforts should be bolstered by long-term and substantive solutions of capacity and confidence building on both sides of the River Dniester. The future prospects of unfreezing the Transnistrian conflict are highly dependent on a committed and concerted Western effort, especially in view of a badly needed success story in the East after the Crimean debacle. One thing remains clear, President Putin’s revisionist maneuvers in Ukraine should determine the West to pay more attention to the frozen conflicts in the area and Transnistria in particular. [iv]EUBAM, http://www.eubam.org/, (accessed on the 5th of January 2010). Great analysis and post, I really enjoyed it. Thank you! For instance, If only Obama had any balls to put Putin to his place, but it seems like it’s never happening, welcome world war. A truly inspiring post, thanks! Sarah, I think it’s more complicated than a mere opposition between Obama and EU on the one side, and Putin on the other one. Obama and Putin need each other. Or let’s say, not Obama himself, and not even the US as a state, but the US as a cluster of transnational capital and corporations. This entry was posted on 23/04/2014 by ISIS Europe in Contributors, Opinions, Raluca Csernatoni and tagged Civilian Mission, Conflict Management, crimean crisis, CSDP, Eastern Neighborhood, EU, Frozen Conflicts, Moldova, NATO, OSCE, Russia, security, Transnistria, ukraine.